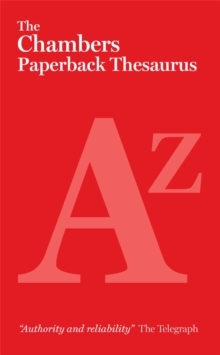 'THE CHAMBERS DICTIONARY IS THE MOST USEFUL AND DIVERTING SINGLE-VOLUME WORD-HOARD AVAILABLE' Telegraph'CHAMBERS IS A MARVEL OF WIT, CLARITY AND PRACTICALITY' Observer'THE MOST HUMAN OF DICTIONARIES' Philip Pullman'CHAMBERS IS AN OPEN DOOR TO WORDS AT THEIR WITTIEST, MOST ROOTED, MOST REVEALING, AND MOST POWERFUL' Ali SmithFirst published in 1872, The Chambers Dictionary contains more words, phrases and meanings than any other single-volume English dictionary. Yet it remains lighter and easier to hold, and now has an even more durable jacket so that it will be a beautiful hardback reference for many years to come. 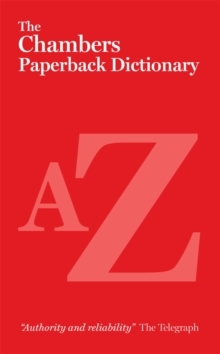 This 13th edition retains the much-loved features of The Chambers Dictionary, including the unique, quirky definitions. 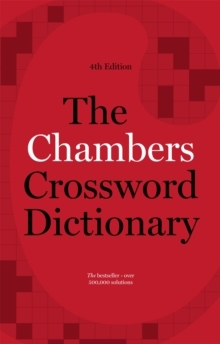 There are over 1,000 new words and meanings, and there is also a brand new two-colour Word Lover's Ramble, showing how English words and definitions have changed over the history of The Chambers Dictionary. 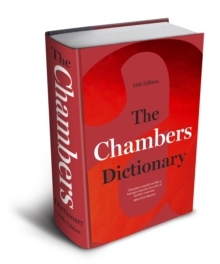 The Chambers Dictionary is now the UK's number 1 selling hardback dictionary. 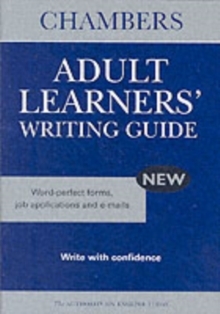 It is regarded as the dictionary of choice for crossword setters and solvers, and is popular with players of wordgames such as Scrabble(R) and Words With Friends(R).